Our desire is to focus on our core business, developing and producing the best content in visual publishing. With the increasing growth of our team, we have no choice but to expand the office space and, unfortunately, this is at the expense of the Nobrow Shop. Nobrow UK will still reside in the same historic premises, but with a significantly larger team – and our books will still be available everywhere that good books are sold. But if you are concerned about getting those rare Nobrow products or back issues, or prints, or objets d’art… don’t worry! Our revamped web shop will be launching in September 2014. It will not only continue to serve the thousands of customers it currently does, but it will also offer exciting ranges of new products, reduced shipping costs, promotions, personal accounts, wish-list functions and much more. For students and educators who have enjoyed the grand tours of our premises over the years, we will still have our ever productive creative studio and are very happy to organise scheduled visits for groups of ten or more people. 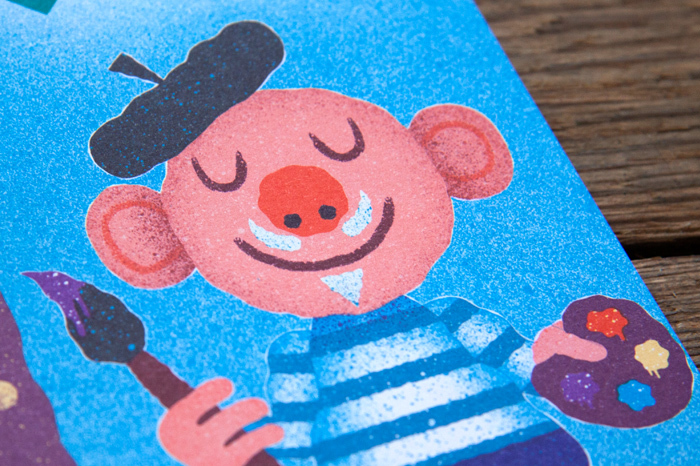 The Nobrow physical retail space will close at 7pm on the 18th July 2014. 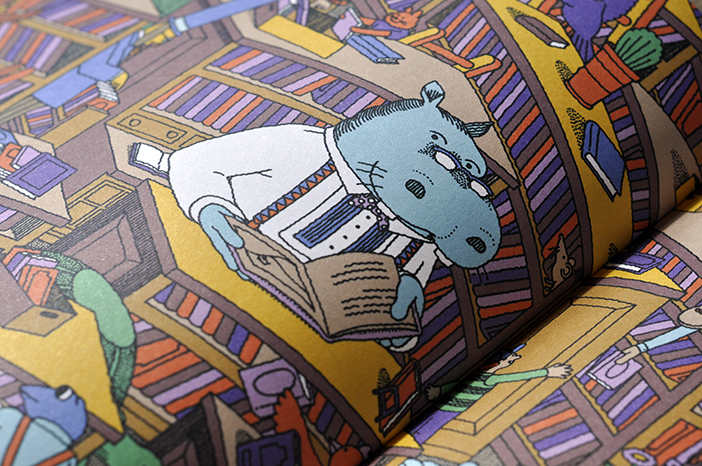 We will be having a big sale of non-Nobrow books from today until that date. This has been by no means an easy decision to make as the shop has been a great source of pleasure for us over the years as it has provided a home for exciting exhibitions of new talent, book launches, talks and parties. And it is thanks in large part to all of your custom and support that we are able to enter this thrilling new chapter in the history of Nobrow. 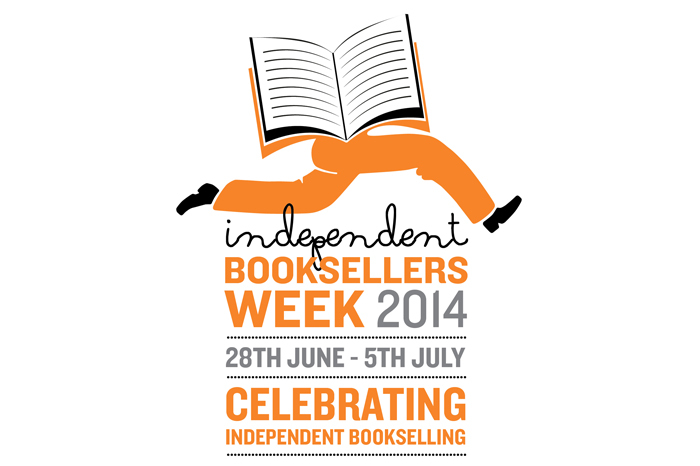 As of Saturday 28 June booksellers across the UK will be celebrating Independent Booksellers Week. The very best of Indie bookshops will be welcoming customers into their papery lairs and we ask you to join them – pop in, say hullo, have a chat and buy yourself a book. We don’t feel we should have to list the many reasons why you should show some support, but for those of you that are unsure, here are two: firstly, these unassuming little nooks that appear on high streets up and down the country consistently deliver an eclectic range of literature (whatever it is that you’re in to). Secondly, they champion the works of new artists, illustrators and publishers who would otherwise struggle to be seen. There you go. And, in honour of this worthy event, Jim Stoten and Liam Barrett will be at Victoria Park Books in East London on Saturday 28th of June. Liam will be holding a workshop based around his newest book, Lil Merl and the Dastardly Dragon, where you’ll learn to draw the most fiendish of villains. Liam’s workshop will be followed by a launch of Jim Stoten’s first children’s picture book which is hitting the shelves this July. Spaces for both are limited. Do bookshops the world over some justice. Valladolid is an old city in the heart of Spain’s Castille region; once settled by the Celtic Vaccaei tribes, later occupied by Roman settlers, and today it hosts the annual IllustraTour festival – the International Festival of Illustration. Now in it’s seventh year, IllustraTour brings together two weeks of workshops in the Museo Patio Herreriano, led by an impressive list of world class artists, plus seminars and talks by Max, Katsumi Komagata, Serge Bloch and many others. This year, Nobrow’s Sam Arthur has been invited along and on Saturday 5th of July he’ll be delivering some juicy insight into the making of our books. If you get the chance to visit the festival and its many treasures, make sure that Sam’s talk is on your list. Happy holidays! 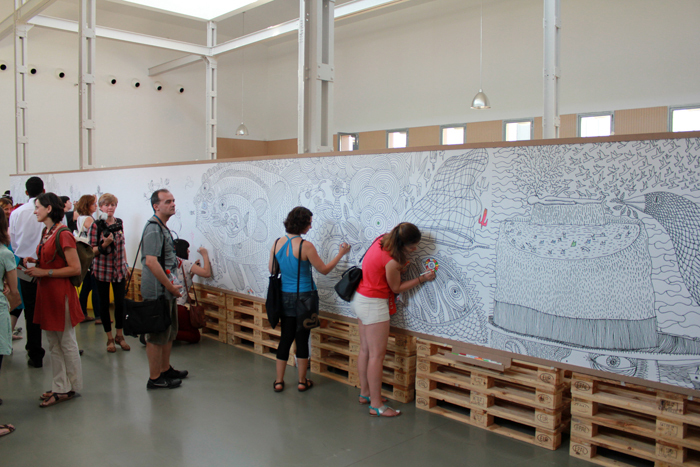 ELCAF 2014 – what a corker! 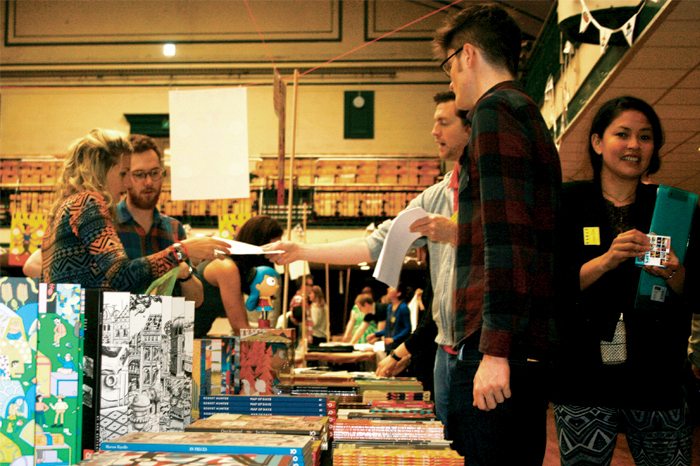 This year’s ELCAF got bigger and better – the Oval Space in East London was appropriately bedecked in all manners of prints, zines, totes, posters, mugs and memorabilia to celebrate the occasion. Each stall had its own little hub of eagle-eye fans swooping in on the wares for sale, booksellers were a-flush from gushing customers and artists mingled casually with the hoards of art-loving folk capering about the hall. A fantastic day. 2015 has much to live up to – bring it on. And for those who still want more from 2014, check out the official ELCAF t-shirts designed by Chris Ware plus the limited edition print created on the day. There’s only a few to send out to the world. All available on our online shop. Since the release of Lil’ Merl and the Dastardly Dragon earlier this year, Liam Barrett has been busily burrowing away to create a fantastic new Tumblr site which will be dedicated to all Lil’ Merl themed art. 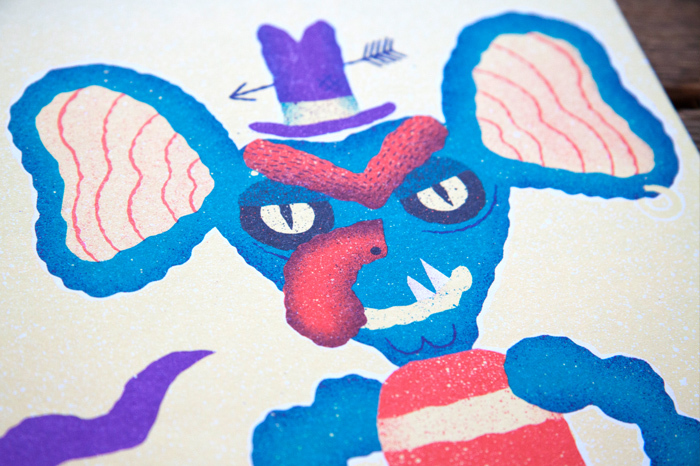 The Secret Troll Club will launch at ELCAF with some guest artists creating their own versions of Merl, dragons and trolls which we’ll put up over the course of the day. But this club is not exclusive, oh no sirree! If you stop by, pick up a worksheet or just drop off some of your own illustrative wizardry, we’ll stick you right up there with the cream of the crop. Once in the club who knows what delights will come your way. And the cherry ontop? Well because it’s ELCAF, and we’re feeling particularly generous, we’ll be giving the owners of those deft little (or big) hands a discount on Liam’s new book. Whip out those crayons and get cracking. ELCAF 2014 is just over a week away and the excitement for this year’s line-up is beginning to rear its grinning and zealous head. There are talks to attend, workshops to muck in with, prints to melt over and dozens of books, glorious, printed, sweet smelling books. A Saturday better spent you will not find. No, really. It’s going to be the Saturday of all Saturdays. If you don’t share our enthusiasm now, you most certainly will once you feast your eyes on the rows of stalls, perfectly aligned, each with their wares piled neatly ontop of crisp ironed tablecloths, manned by kindly men and women (experts in their craft!) each willing to impart little drops of wisdom just for you. Bliss. 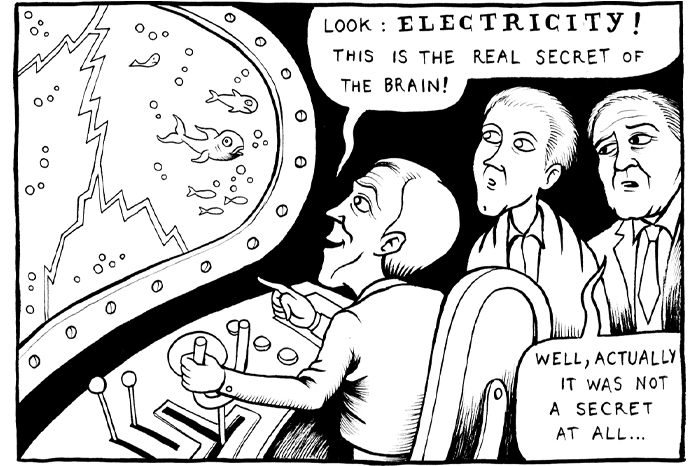 Philip Loring of the Science Museum will guide you through the fascinating journey of the electrical networks of the brain as part of the Neurocomic exhibition taking place at the Cube London. When most people today think of electroshock, they think of electroconvulsive therapy (ECT), made infamous in the 1970s by books such as One Flew Over the Cuckoo’s Nest, and still a controversial tool used today by psychiatrists around the world. If we step back a century or two, however, we find a radically different notion of electric therapy. Electricity was then something newly harnessed and still full of mystery. Experts and laypeople agreed that it had a profound relationship to nerves, for it could stimulate as well as soothe them. This talk, illustrated with material from the current Mind Maps exhibition at the Science Museum, brings this forgotten world back into view and discusses the reasons for its partial, but not total, eclipse. This event takes place on Thursday, 05 June at 19:00. RSVP at [email protected] to book your place.